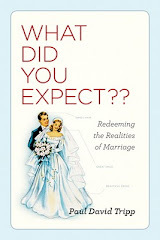 Marriage God's Way: What Comes Out When You Get Squeezed? As part of our morning devotionals my wife and I were reading something written by Joni Eareckson Tada. She made a comment that I thought had a broader application. Joni was specifically referring to physical pain. But whether it is physical pain, or emotional pain, or just frustration it can still produce in us a sour attitude. We can feel as though we are lemons being squeezed. It is what comes out of us when we are being squeezed that differentiates us from Joni Eareckson. By combining the beautiful transparency of Joni with the wisdom of Jesus we can see that the pain or frustration can be likened to the food we eat. At times when I have tasted frustration, pain or stress I have responded by saying and/or doing things that would be not bring glory to God. What comes out of me at these times is a true reflection of my heart. However I have a choice. Like Joni I can use these difficult moments to ask myself “what would God have me learn as a result of this trial, how would He have me respond and what is He trying to show me about my heart? Over the years I have learned that God never wastes pain, it can always serve a purpose, though at times His purpose may remain a mystery. If I get irritated at something someone says or does, I must ask myself why? Chances are that I need look no further than James 4:1-2 which tells me clearly that my irritations and frustrations are a result of me not getting my own way.